Looking for more excitement and opportunity? Whether it’s to grow a business, start a family in a community with an inviting outdoor lifestyle or simply start a new page in life, people of all walks (and in all stages of life) are moving to Tampa Bay. And while the area’s fine weather and beautiful beaches are obvious incentives, the attraction goes beyond the fact that you can wear short sleeves year-round. For starters, average home prices and the cost of living in Tampa Bay remain low in comparison to other major metropolitan areas. And the fact that job creation here is high and unemployment is low add more motivation for those considering taking the leap. Plus, the city has three national sport teams, world class cultural offerings, ever-expanding dining and nightlife, and one of the nation’s most accessible and friendliest airports—you have all the makings for a lifestyle to love. Where are all the cool neighborhoods that have their own personality and lots of things to do nearby? Pretty much everywhere! The Tampa Bay area has several districts and towns, each with it’s own attributes and close to the city’s cultural core, downtown. Which district fits your lifestyle? Imagine the cultural buzz of a big city packed into a few centralized riverfront blocks and you’ll have an idea of what to expect in downtown Tampa, the city’s cultural core. Everything here happens along the banks of the Hillsborough River and the Tampa Riverwalk, where students from the nearby University of Tampa pilot standup paddleboards in the calm waters and families walk with their kids and their pups to the riverfront playground and dog park. Curtis Hixton Waterfront Park is ground zero for all manner of festivals and events, from art shows and food tastings to the popular Gasparilla Music Festival every spring. For a cocktail or local beer with a water view, be sure to check out Sail Pavilion and Ulele. With so much diversity over the span of a few city blocks, your experiences will always feel fresh and new. The glassy high-rise apartment buildings of Channelside, Caribbean-style town homes of Harbor Island, and the old Florida bungalows and luxury waterfront estates on Davis Island lure a base of young professionals and families to these water-water-everywhere neighborhoods fringing downtown. Julie Curry is a young entrepreneur (she owns Bake’n Babes, located in The Hall on Franklin) and mom, raising her kids in this district. She and her husband first moved to Channelside more than 8 years ago and have watched it transform into a district that’s bustling with activity day and night. Julie and her husband used to have two cars before moving to the area, but they’ve consolidated to one since it’s so easy to bike or walk everywhere. Family-fun places like The Florida Aquarium are right next door, and as devoted Tampa Bay Lightning hockey fans, they love living close to Amalie Arena. Tampa Bay’s Latin culture is a thriving one. 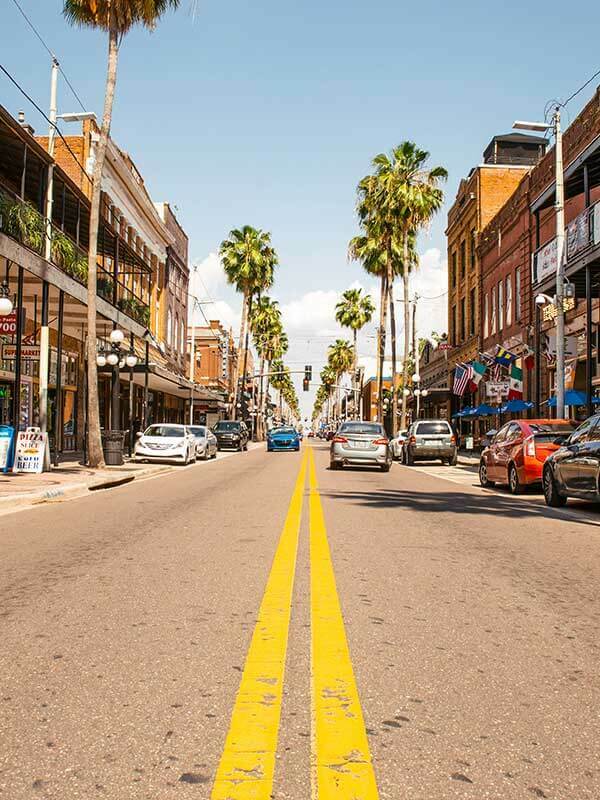 And while its influences can be seen and felt in many parts of town, it all started in Ybor City, the cigar-manufacturing heart of the historical Cuban and immigrant community and today’s vibrant, contemporary entertainment quarter. You’ll find some of the best Cuban sandwiches (the pork-filled masterpiece was invented here!) and cafecitos (Cuban espresso) in small cafes within brick buildings that line the district’s narrow streets. Wrought iron balconies and the scents of cigar smoke, coffee and fresh pastries linger around storefronts. The LGBT community has long been at home here, revitalizing some of the classic Florida bungalows. And you’ll find some of Tampa Bay’s most diverse nightlife hangouts along 7th Avenue, from drag queen shows to dance clubs. The Columbia Restaurant is the city’s grand dame of dining establishments, with world-class Spanish food and flamenco dancing shows that have enthralled visitors since 1905. About a mile west of Ybor City and downtown Tampa, and bound by the Hillsborough River to the east, West Tampa is one of Tampa Bay’s oldest neighborhoods. Since the area’s founding in 1892, it has lured a thriving Latin community. Today, this is where you’ll find some of Tampa Bay’s tastiest Cuban restaurants and authentic supermercados selling tropical fruits. Armenia Avenue is a hotspot for Columbian culture while Columbus Avenue skews Cuban. The abundance of century-old cigar factories and atmospheric shotgun-style houses (with doors at the front and rear to maximize airflow) lend a special ambiance. Part of West Tampa also lies within the city's top-rated school district. Just west of downtown, you’ll find a mix of young families, longtime residents devoted to their immaculately preserved homes along Bayshore Boulevard, and young students who call SoHo and neighboring Hyde Park home. 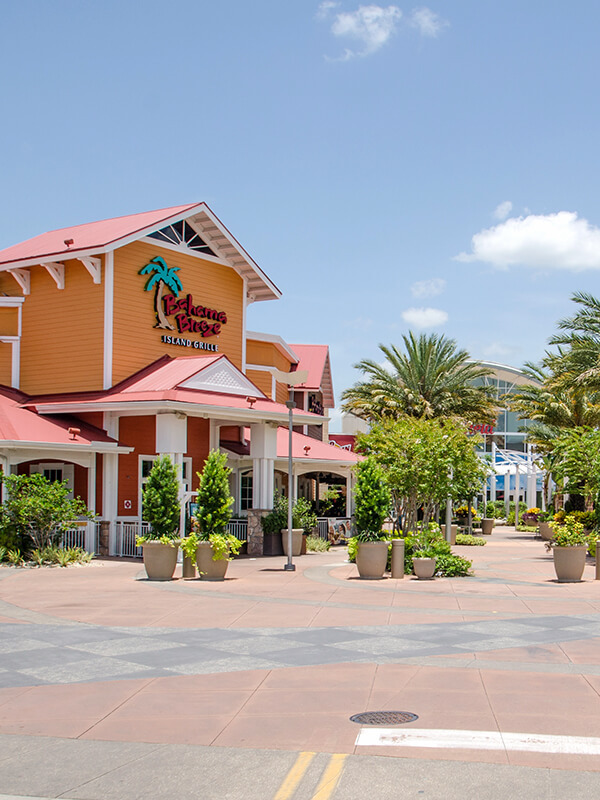 Hyde Park Village—with its eclectic collection of restaurants and shopping that include Goody Goody Burgers, Wine Exchange Bistro & Wine Bar and CineBistro (a dine-in movie theater)—is a favorite place to sit and sip something frosty on a terrace or enjoy a romantic date night. The walkable village makes it easy to check out the string of bars and restaurants along Howard Avenue for the city’s most happening happy hours and after-dark entertainment. Locals love being just a short stroll from Bayshore Boulevard, too—at 4.5 miles, it’s the longest continuous sidewalk in the world, hugs the bay and is a favorite with joggers, stroller-pushing parents, bikers and rollerbladers. The leafy, historic Old Tampa neighborhoods close to Westshore Boulevard are a favorite with families drawn to the proximity to the water as well as Tampa Bay’s top school district. It’s all about convenience here, too, as you’re close to all manner of shopping at WestShore Plaza and International Plaza and Bay Street. Plus, the Tampa International Airport is a quick 10-minute drive from most locations, making commuting by air or just jetting out of town a cinch. In addition to national upscale chain restaurants such as The Capital Grille, Eddie V’s and Ocean Prime, you’ll find old and new Tampa Bay favorites such as Oystercatchers (arguably the best brunch in town) and Cooper’s Hawk Winery & Restaurant. Then there’s the world’s largest cigar shop, Davidoff of Geneva, which curates a cigar and spirit experience with finest of both for those special nights out. The fact that you can still find old Florida bungalows (Craftsman, Florida Cracker, Florida Vernacular and more) for a fixer-upper price has been drawing young professionals and young families in droves to the neighborhood known as Seminole Heights, located just east of the Hillsborough River to the north of downtown. Creative types are injecting their personal flair everywhere you turn in this ‘hood, so it’s no surprise their area is considered one of Tampa Bay’s most exciting for its independent restaurant scene. The excellent farm-to-table cuisine at The Refinery is on the radar of serious foodies (the restaurant was a semi-finalist for a James Beard award for Best New Restaurant in 2011) and rustic-chic Rooster & The Till is another neighborhood star. Go exploring here and you’ll always find something new. 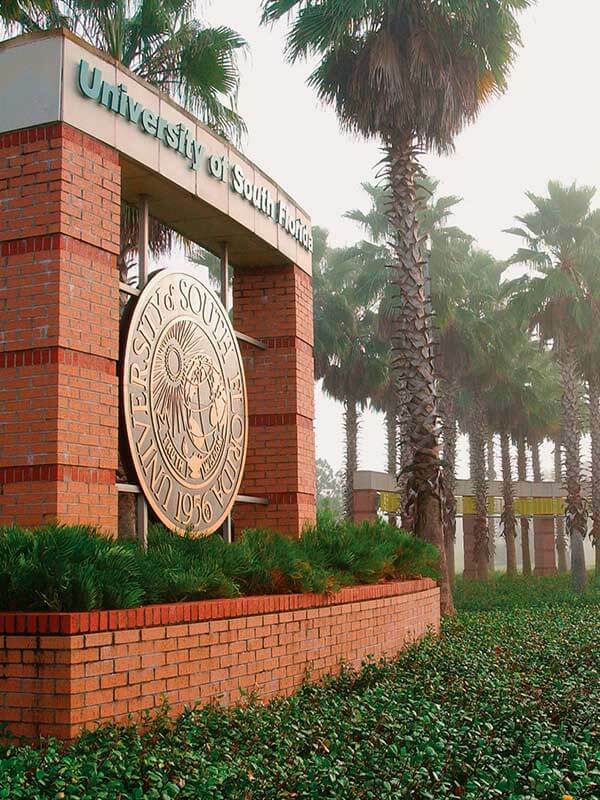 A vibrant student population and—you guessed it—more young families like living here, close to both the University of South Florida and the city’s main theme park attractions at Busch Gardens® Tampa Bay and Adventure Island. Easy on/off access to I-275 means you’re just 25 minutes north of downtown Tampa. But there’s plenty to keep you entertained in North Tampa, from the fabulous Tampa’s Lowry Park Zoo and concerts at the USF Sun Dome to the many restaurants and bars around the university that include Cigar City Brew Pub and Skipper’s Smokehouse, where you’ll even find alligator on the classic Florida menu. Quick access to nature along the Hillsborough River, fresh fruit stands and some classically kitschy Florida neighborhood attractions like Dinosaur World and even a casino (the Seminole Hard Rock Hotel & Casino) make East Hillsborough a quirky yet down-home community. Venture further east and you’ll find one of the most exquisite towns in Florida, Plant City. This bustling yet exceedingly friendly community—home to the world-famous Florida Strawberry Festival—offers the best of country living and a 30-minute commute to downtown Tampa. The salt life south of the city—that’s what it’s all about in this fun-loving district in southern Hillsborough County, located right in that sweet spot where Tampa Bay mixes with the Gulf of Mexico near the iconic Sunshine Skyway Bridge. The TECO Manatee Viewing Center is popular during the cooler months to see scores of Florida’s cutest marine mammals converging. And if you don’t succumb to buying your own boat to maximize life here, head out with a fishing charter to hook tarpon, trout or pompano in the local waters. Or, rent a paddle craft to explore the wildlife refuge. 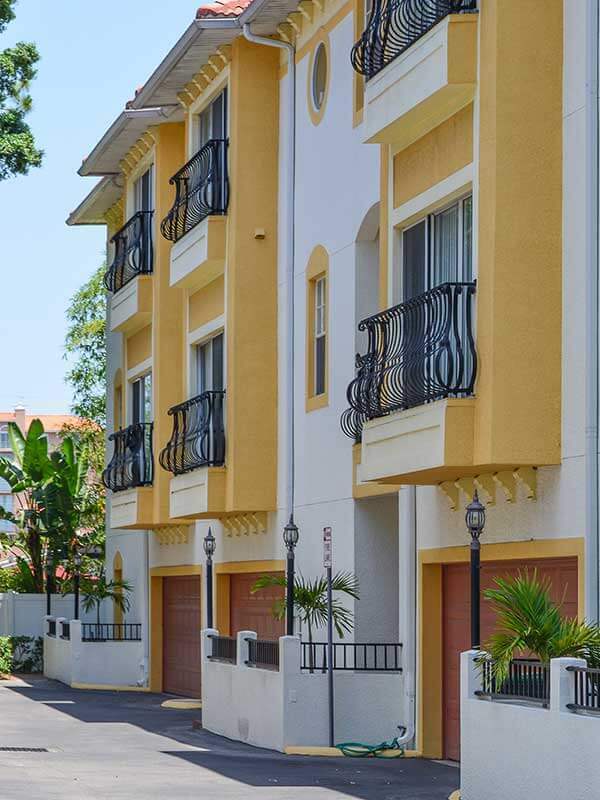 An easy 25-minute drive on the Leeroy Selmon Expressway east of downtown Tampa brings you to the community of Brandon. Young families thrive in Brandon as housing costs are generally lower than in downtown Tampa. Plus, there’s great access to shopping, including the excellent Westfield Mall, and all manner of restaurants for dining out, too. Brandon Regional Hospital is one of the area’s main employers and has a new Women’s Center and Baby Suites for expecting mothers. And while you’re an hour from the beautiful Gulf beaches, there are recreational centers and parks as well as lakes for fishing, bird-watching boardwalks and kids skate parks. Water access everywhere, from the city’s many bay front beaches to riverside parks. Two of Florida’s top high schools (with a 96 percent graduation rate) are located in Hillsborough County, and there are many fine public and private school offerings throughout town. A low median home price compared to other major metropolitan areas makes it easier to get a foot in the door. The city’s startup business scene is booming with cutting-edge companies emerging throughout the city and strong job growth overall. Three major league sports teams—the Tampa Bay Buccaneers (NFL), the Tampa Bay Lightning (NHL) and the Tampa Bay Rays (MLB)—mean there’s a hometown sports team to cheer on year-round. Got a favorite already?Find out commute times, things to do nearby and more.